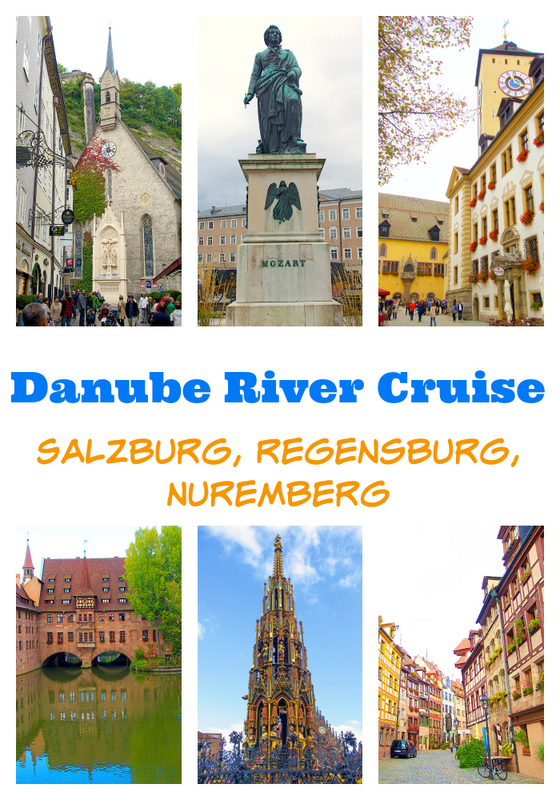 Today I am sharing the second half of my recent Danube River Cruise with Gate1 Travel. 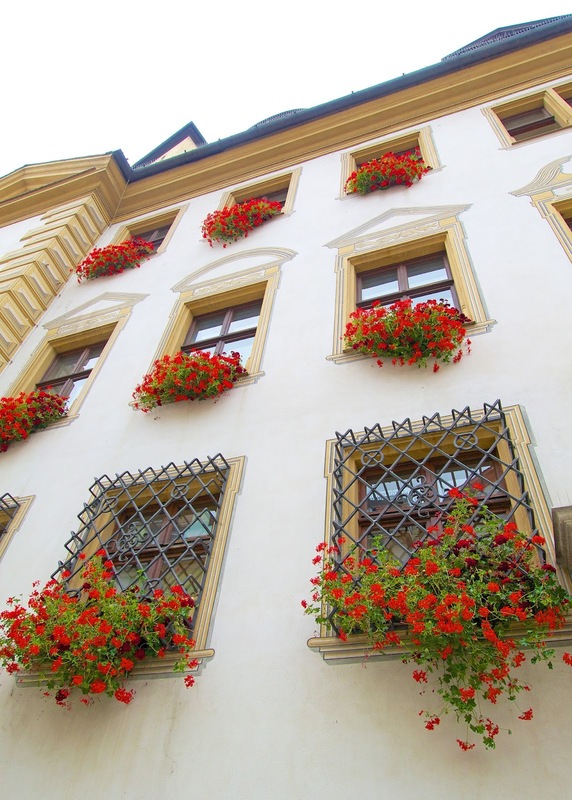 Last week I shared my trip to Bratislava, Vienna, Durnstein, Wachau and Melk. 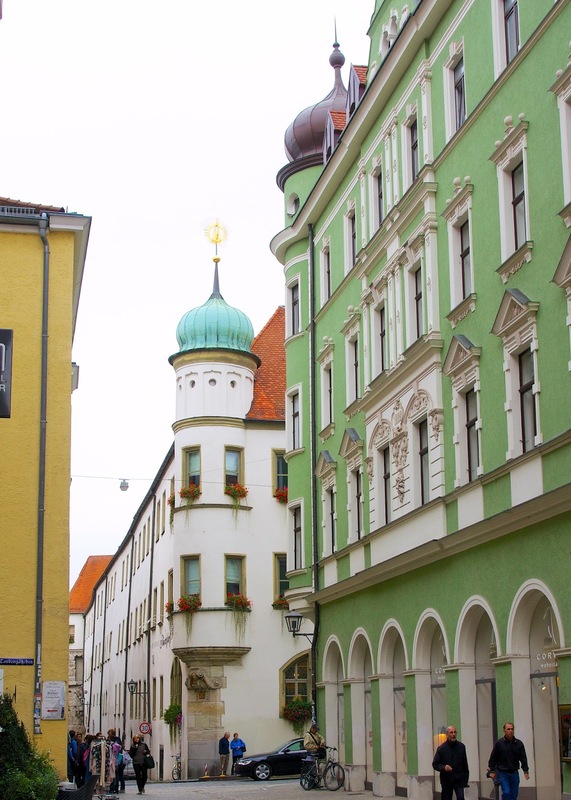 Today I'm sharing all about Salzburg, Regensburg and Nuremberg. They were all amazingly beautiful! We packed a lot in to a small amount of time! To start day five, we took a bus into Salzburg. 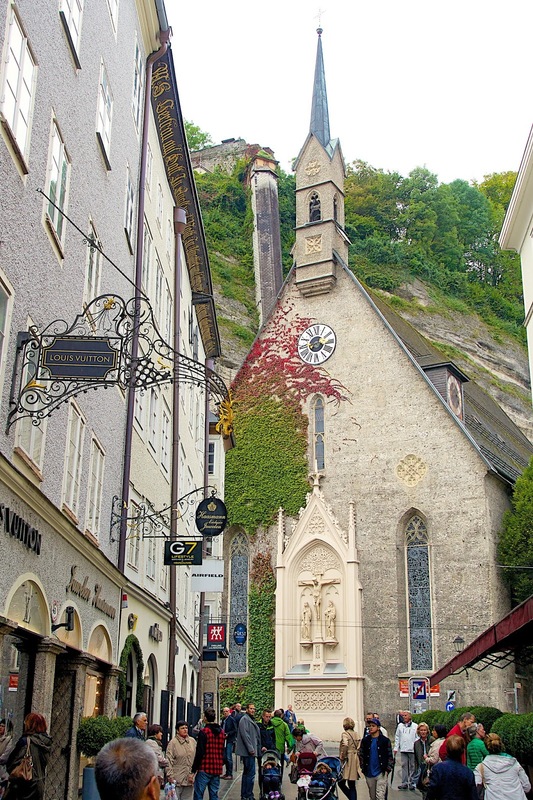 Salzburg is the birthplace of Mozart. This is the second time that I have been to Salzburg. 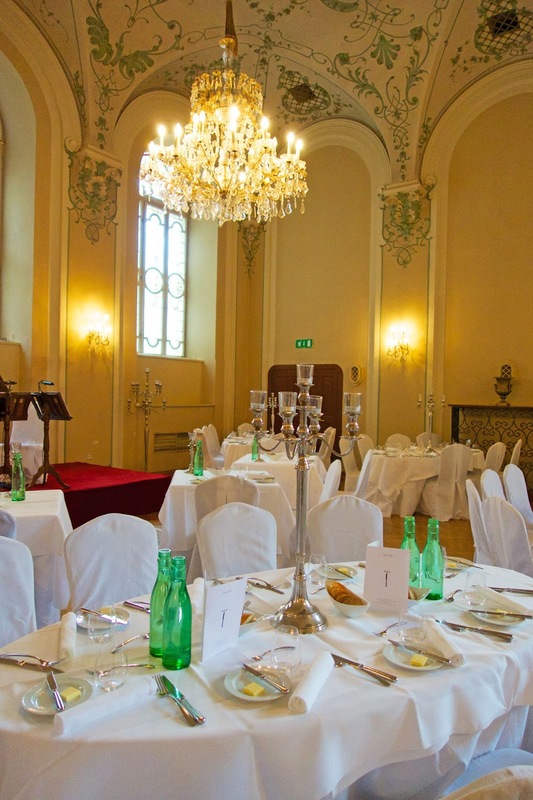 Several scenes from The Sound of Music were recorded here. Maria and the children sing 'Do-Re-Mi' while dancing around the horse fountain and using the steps as a musical scale. 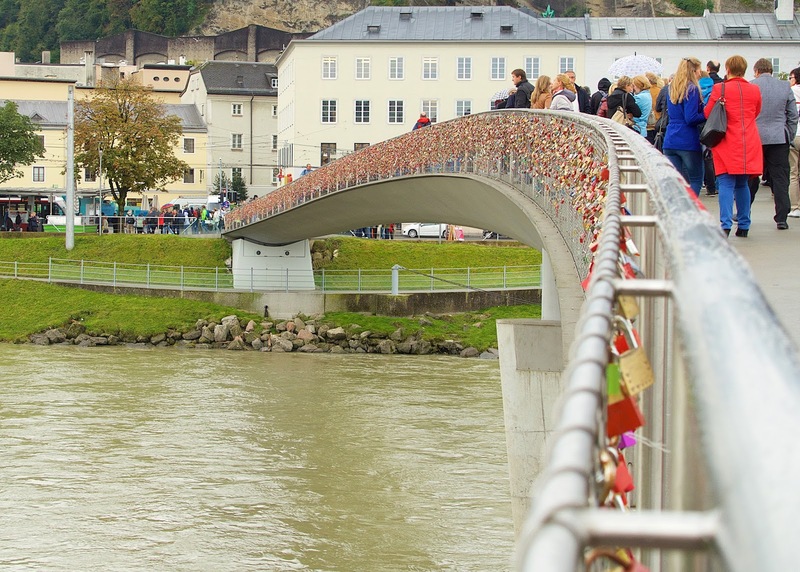 The Makartsteg Bridge stretches over the Salzach River in Salzburg's city centre. It is quickly turning into a Love Lock Bridge. 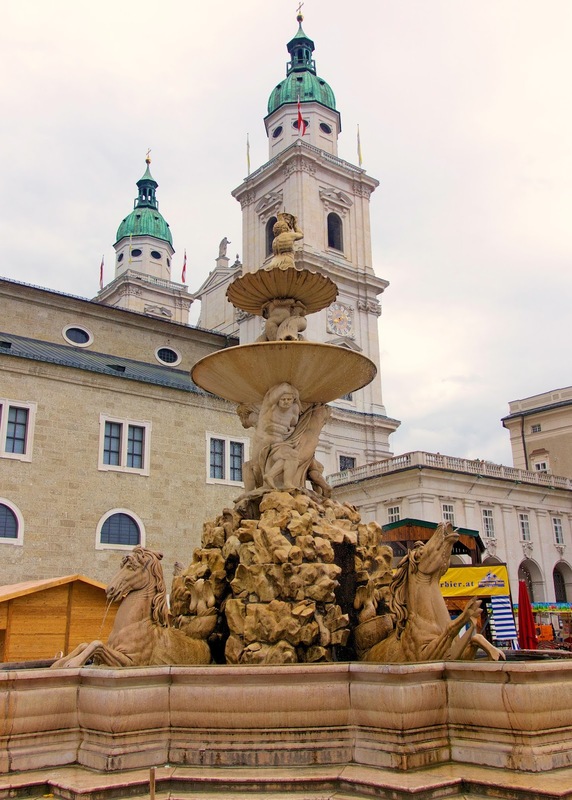 The Residenzbrunnen Fountain next to the Salzburger Dom Cathedral is situated right in between the old and the new Residenz palaces on Residenzplatz - once the two representative buildings of Salzburg′s Prince Archbishops. The Residenzbrunnen is said to be the biggest Baroque fountain outside of Italy. 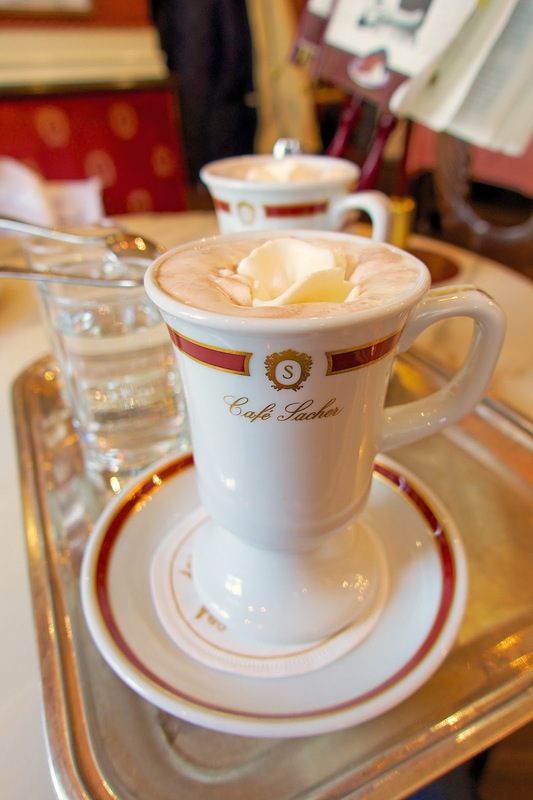 1890 the Salzburg confectioner, Paul Fürst, created the now world famous Salzburger Mozartkugel. 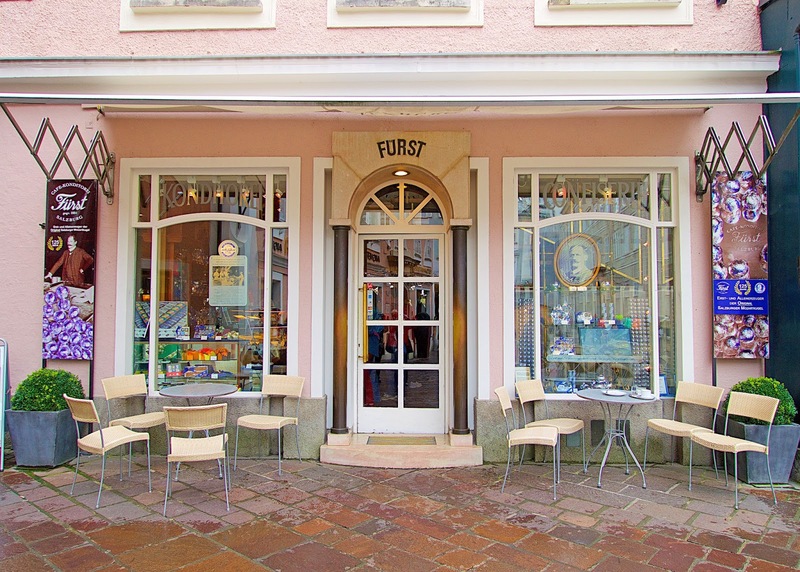 Norbert Fürst, the present proprietor of this establishment, still makes these fine chocolates today according to the old recipe and method handed down to him by his great-grandfather. 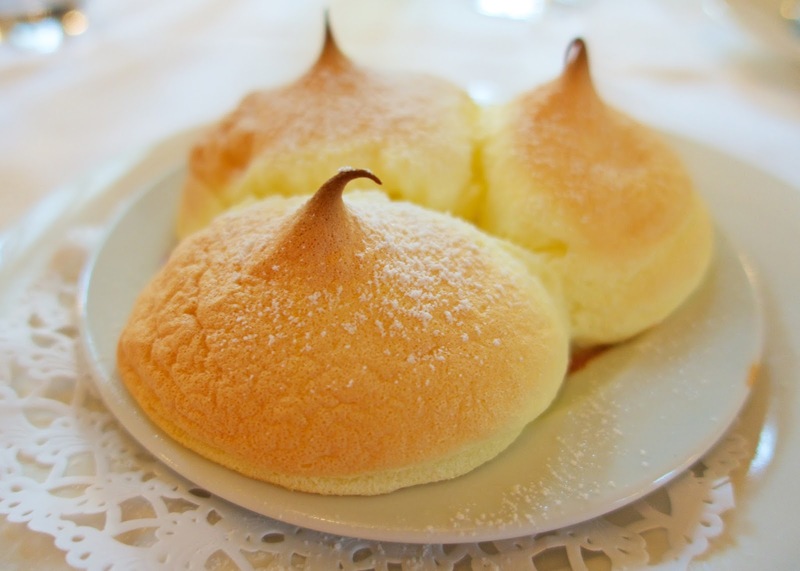 For this reason, these can truly be called "Original Salzburg Mozartkugel". By using this expensive production process, and with the same recipe, the same "Original Salzburger Mozartkugeln" are still produced by hand in the same house and sold exclusively in their shops. 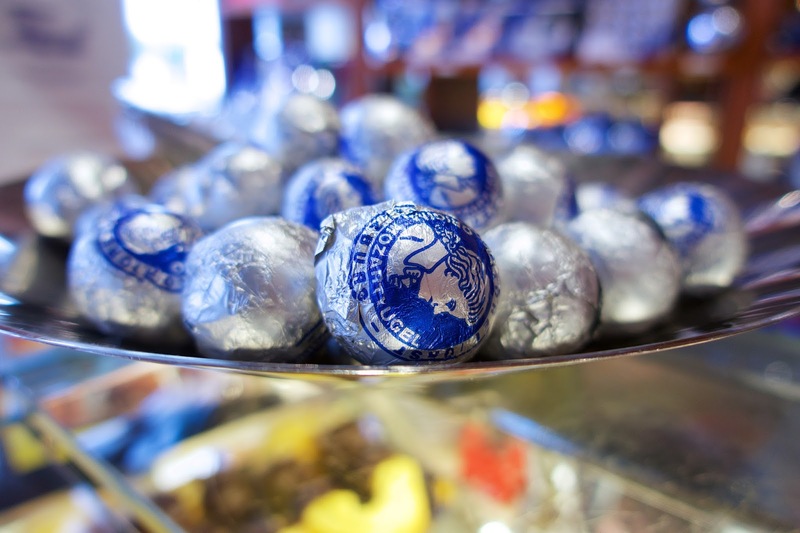 They are the only Mozartkugel packaged in the silver and blue foil. They cost about 1 € each. 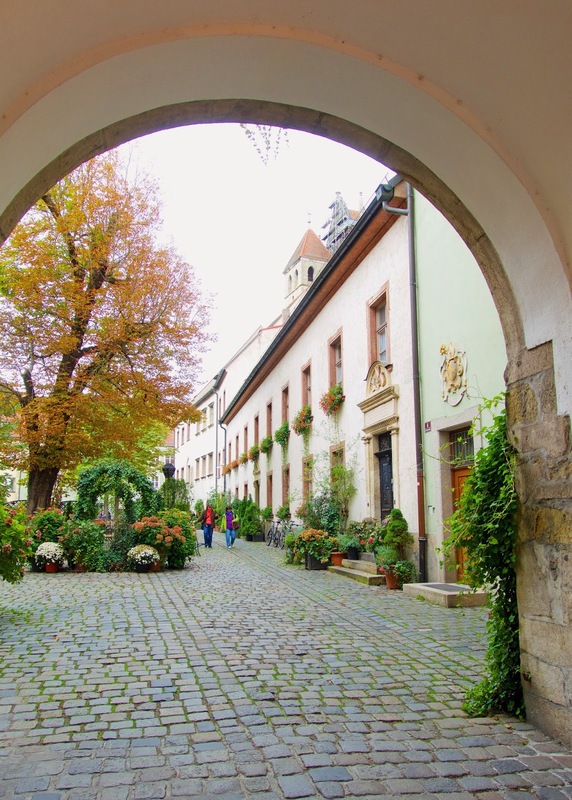 Mozarts Geburtshaus was the birthplace of Wolfgang Amadeus Mozart at No. 9 Getreidegasse in Salzburg, Austria. 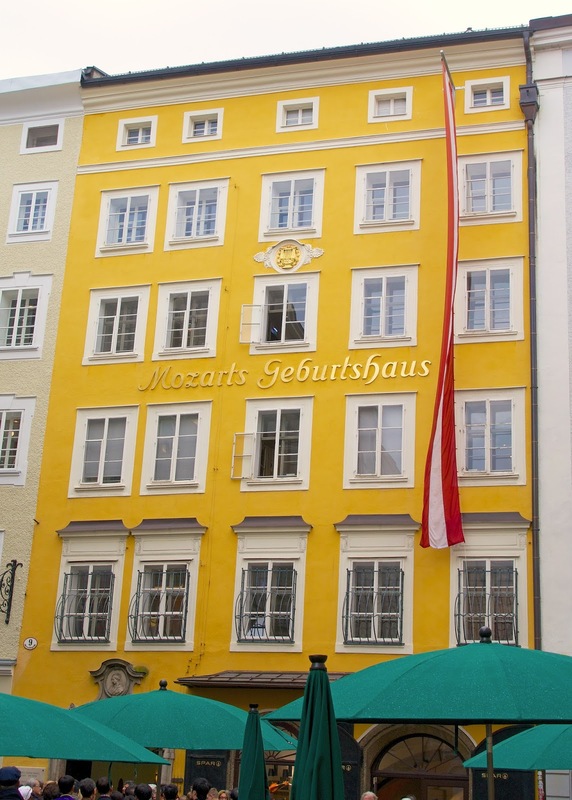 The Mozart family resided on the third floor from 1747 to 1773. 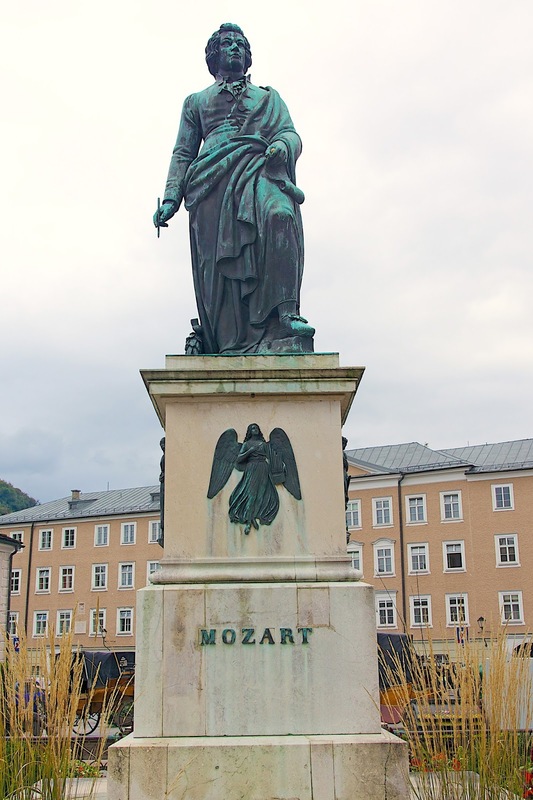 Mozart was born here on January 27, 1756. 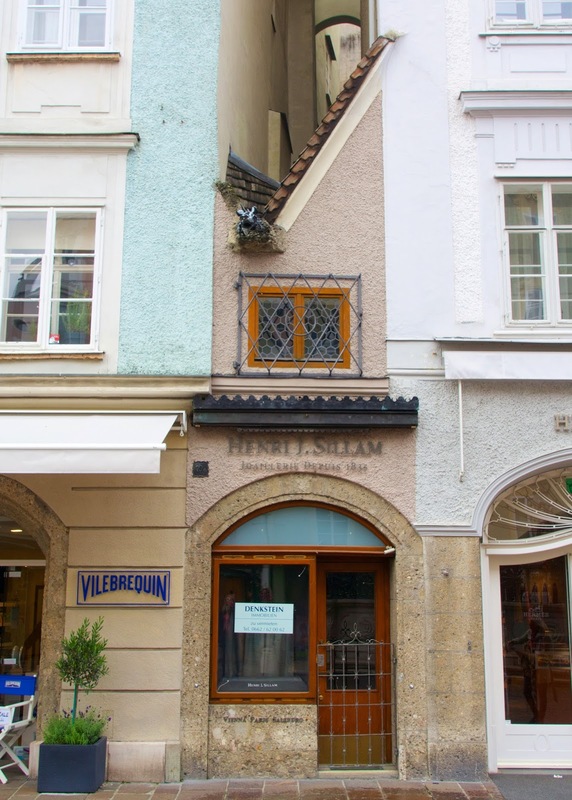 The smallest house in Salzburg located next to the famous Tomaselli coffeehouse. It is only 1.42 meters wide. 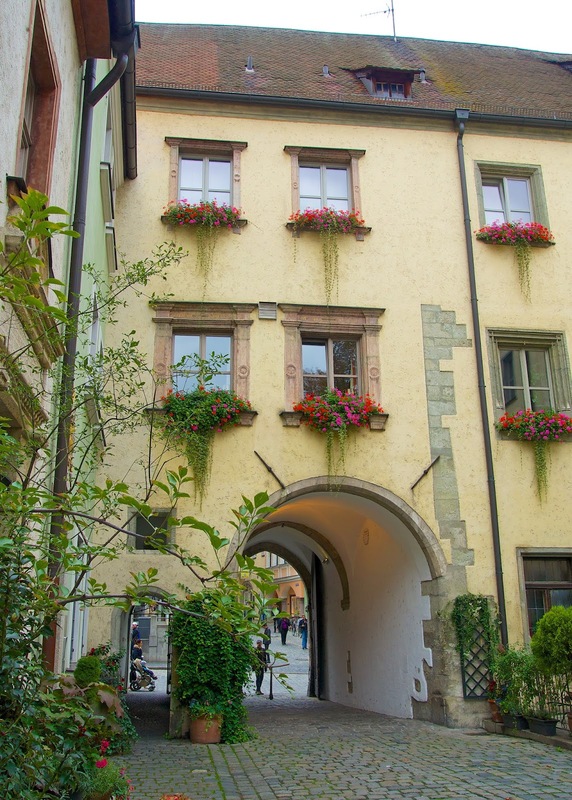 The tiny house was built to close a narrow alley between 1830 and 1860. 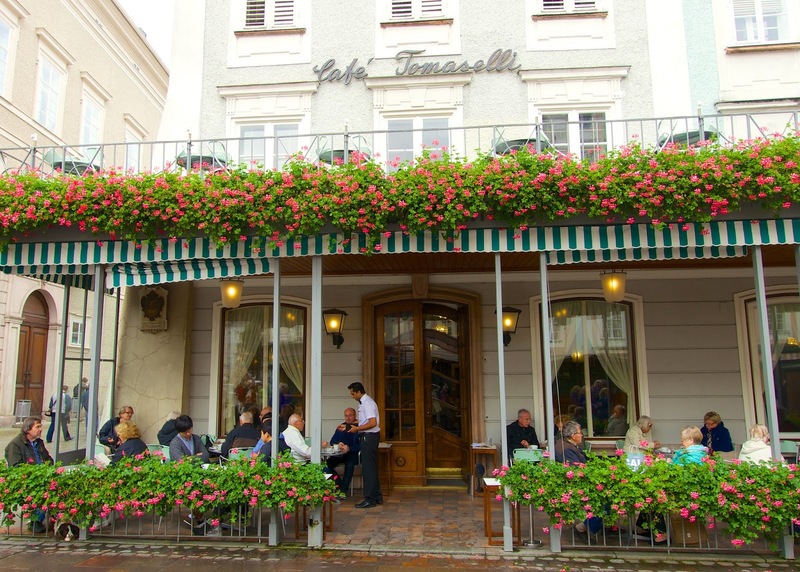 Cafe Tomaselli was founded in 1705. It was a favorite hangout of Mozart. Our guide said he had coffee here everyday he was in Salzburg. I can see why. It was beautiful! We had lunch at St. Peter Stiftskeller - Das Restaurant. 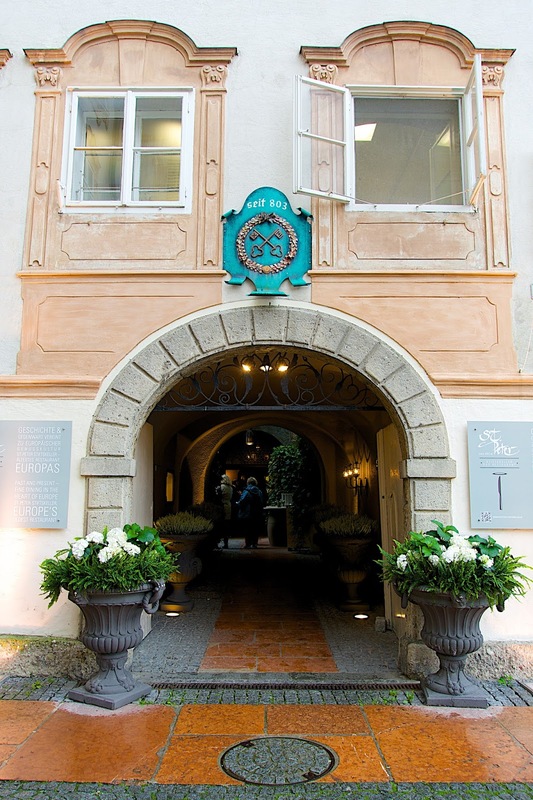 It is the oldest restaurant in Europe. 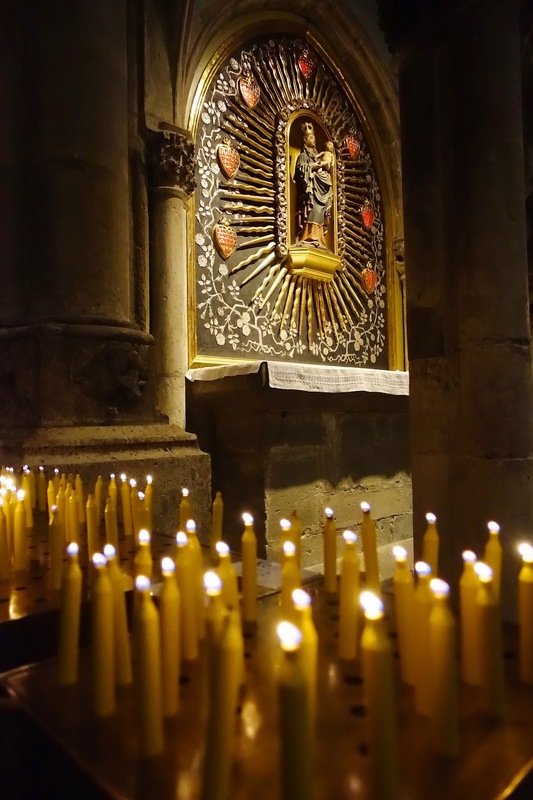 It was founded in 803. Not 1803, 803! The room we dined in was beautiful! 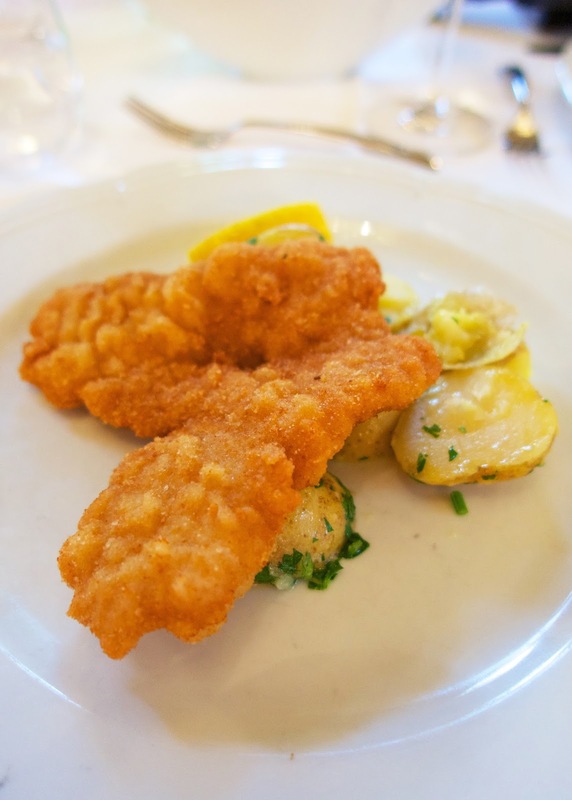 We were served a pork schnitzel with potatoes for our entree. For dessert we had the Salzburger Nockerl. It is a soufflé dessert. It was SO good. It kind of tasted like cake batter. I've found several recipes for it. I can't wait to try my hand at this beautiful dessert at home. 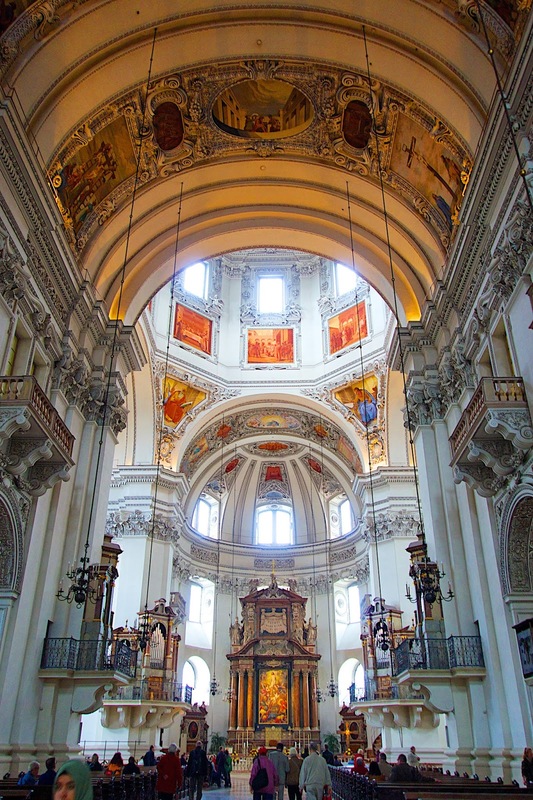 Salzburg Cathedral is a seventh-century Roman Catholic Church where Mozart was baptized. 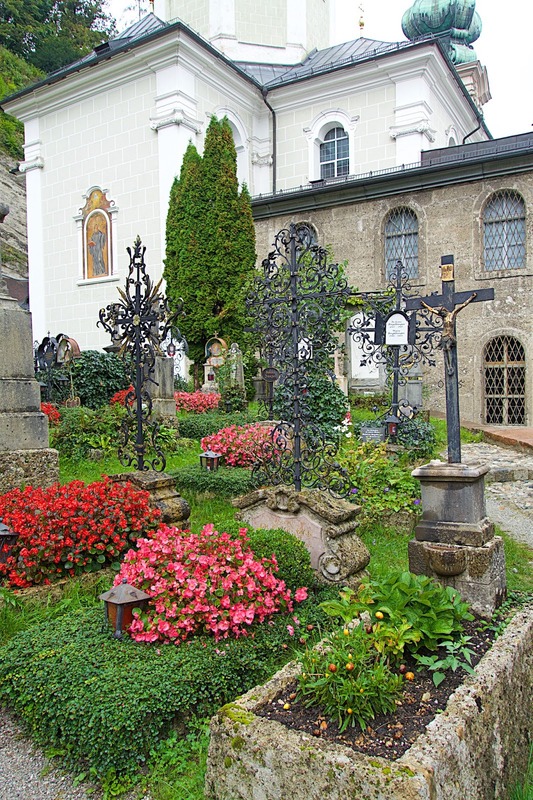 The Petersfriedhof or St. Peter's Cemetery is the oldest and most beautiful cemetery in Salzburg. It dates back to about 700. 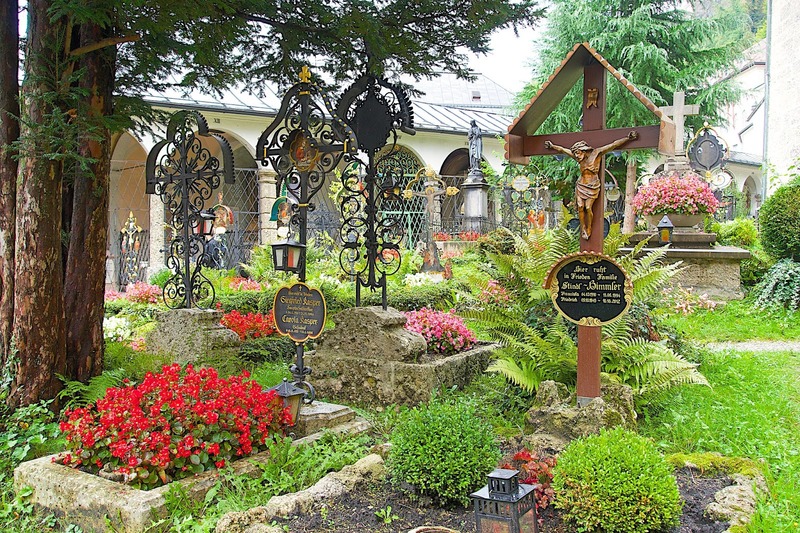 The Von Trapps hid from Nazis in The Sound of Music in this cemetery, although the actual scene was filmed in Hollywood. 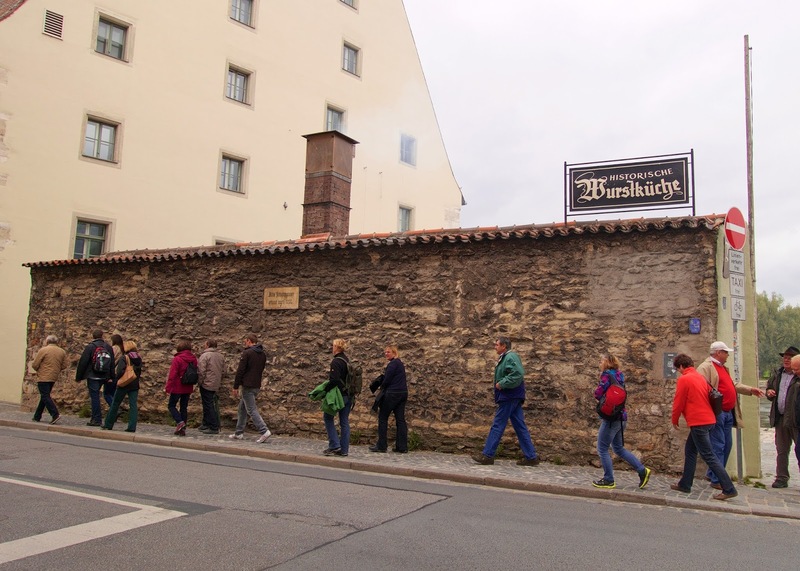 After we walked through the cemetery, we stopped in at Stiftsbäckerei. 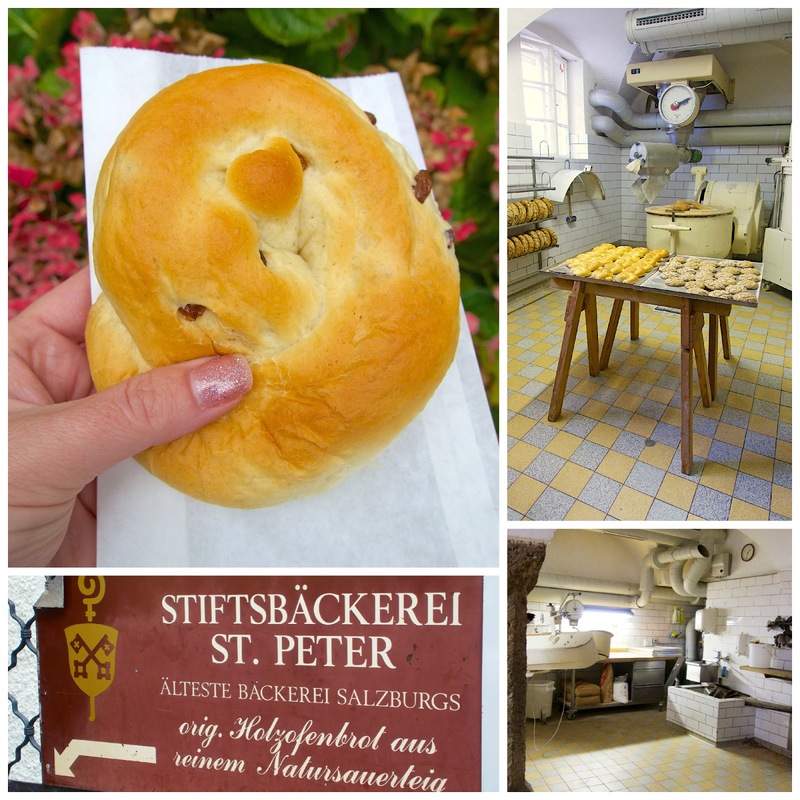 It is the oldest bakery in Salzburg - operating for 700 years. They bake the bread in wood fired ovens. We sampled the brioche - amazing! 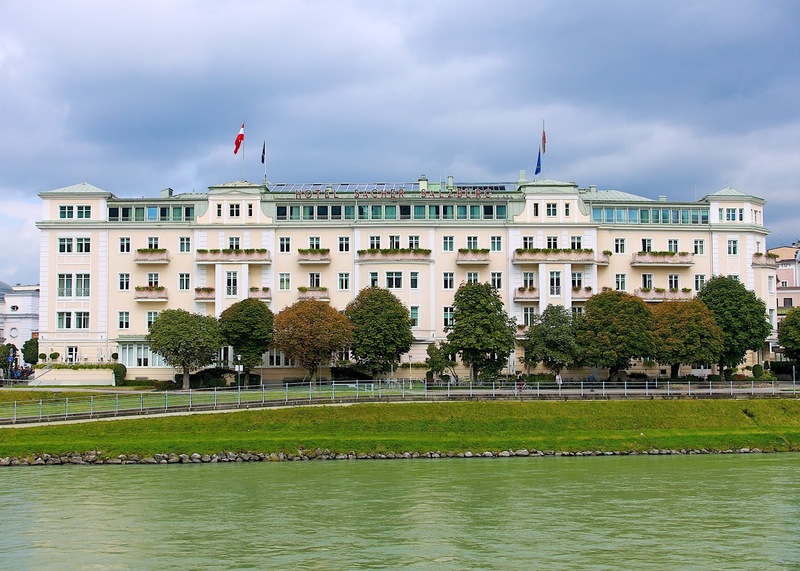 The Hotel Sacher is the only 5 star hotel in Salzburg. It was built between 1863 - 1866. Julie Andrews was in the hotel when we were there! She was in Salzburg filming a Sound of Music special for the 50th anniversary next year. 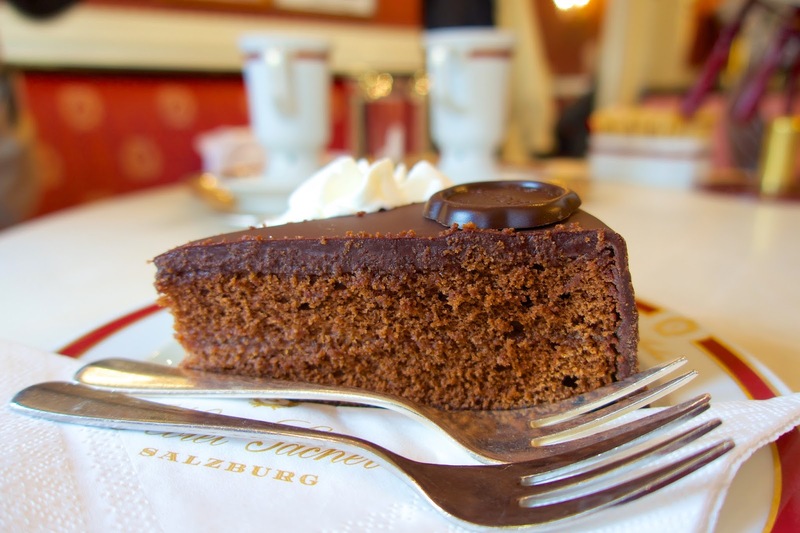 We couldn't pass up sampling the famous Sacher Torte. We also tried the hot chocolate. I loved all the beautiful signs walking down Getreidegasse. See how beautiful the Mc Donald's sign is? 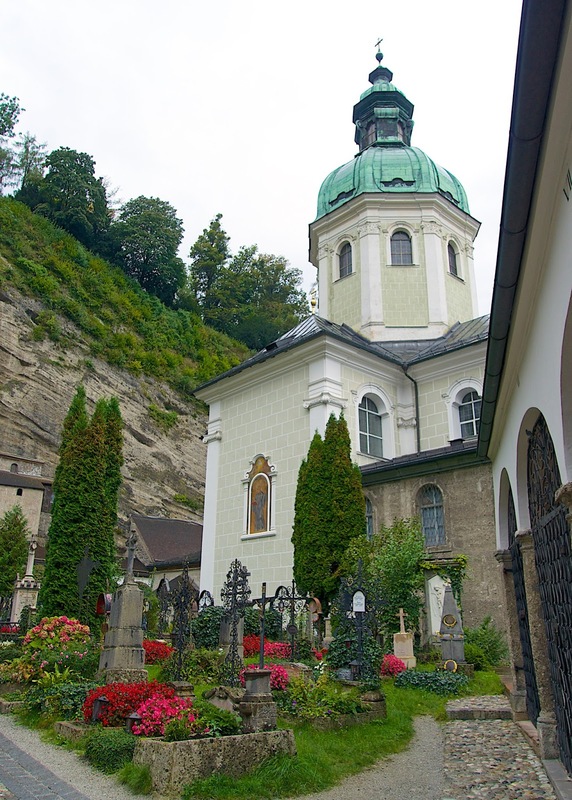 At the end of Getreidegasse, there is a great view of Kirche St. Blasius. 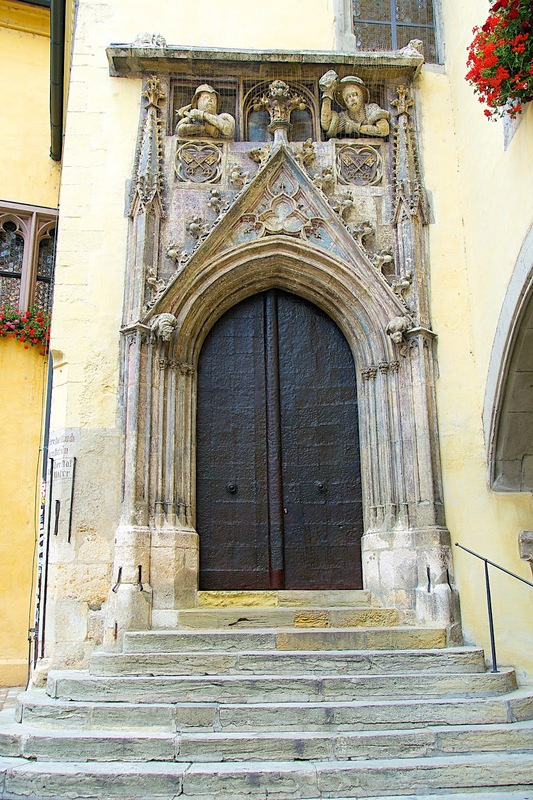 It was built in 1330. I LOVE the ivy on the church. SO pretty! 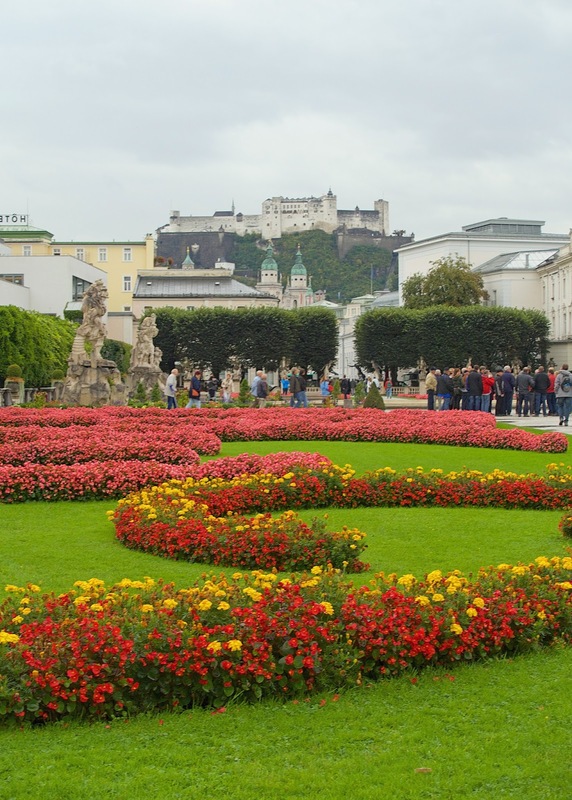 I wish we had more time in Salzburg. There was SO much more to explore! I would definitely go back on my own. 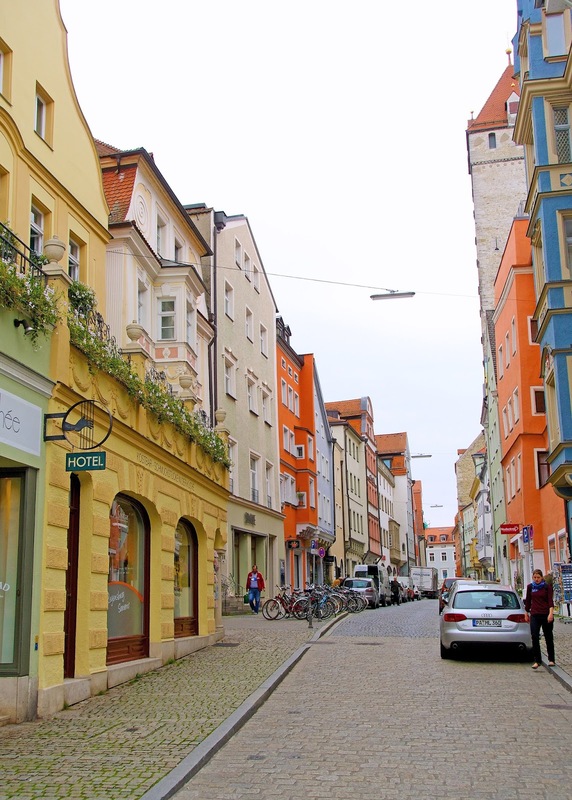 Once we arrived back to the boat, we set sail for Regensburg. 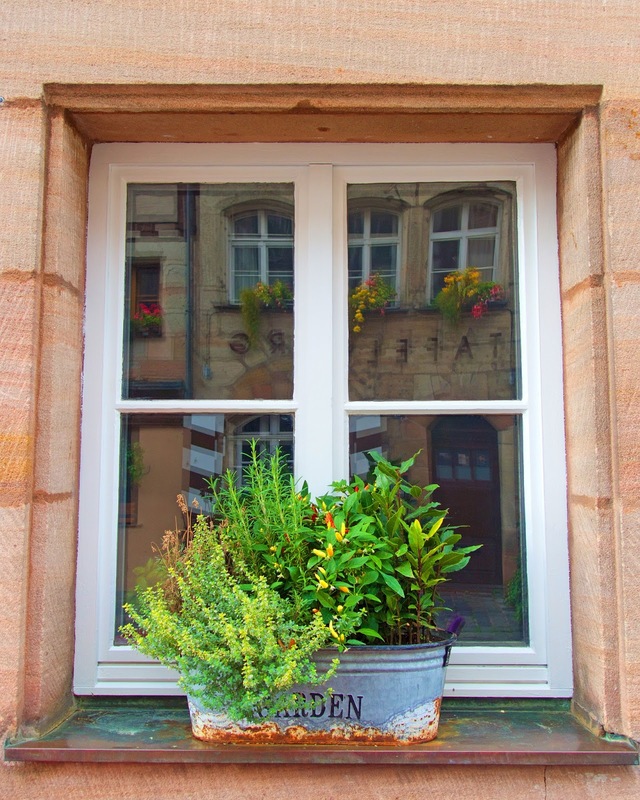 I can't get over these beautiful window boxes. I am totally going to add one to our house next year! The Old Town Hall is beautiful! We stumbled upon a couple of weddings while we were on our walking tour. One of the ancient Roman gate towers is still preserved and visible. 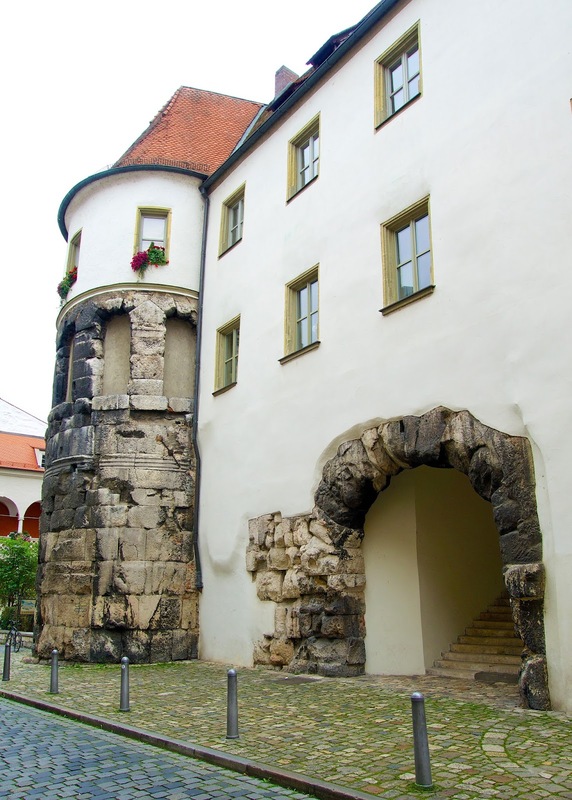 Porta Praetoria was built in 179 as the Northern gate of the Roman fortification. 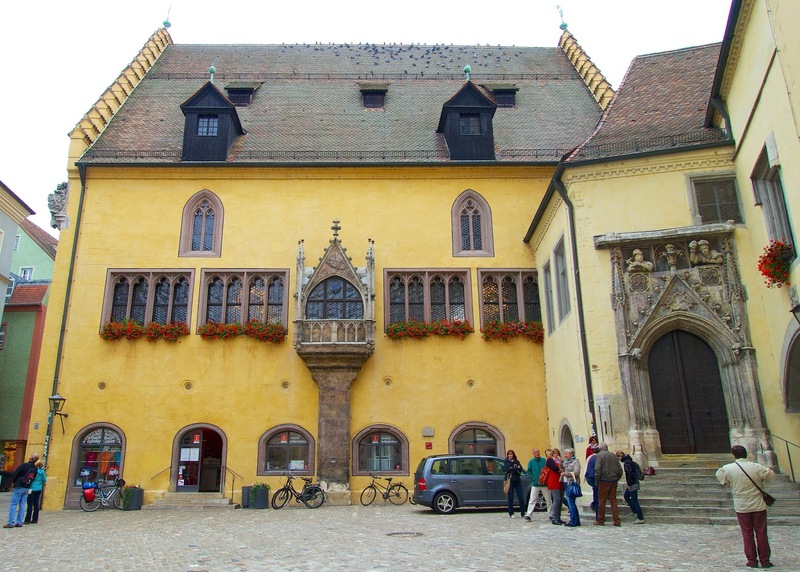 It has become part of the Bishops’ Palace (Bischofshof). The wealthy built tower houses. These were a symbol of their status as well as fortifications for self-defence. Residential rooms were located on the lower floors, the upper storeys served mostly as storage. 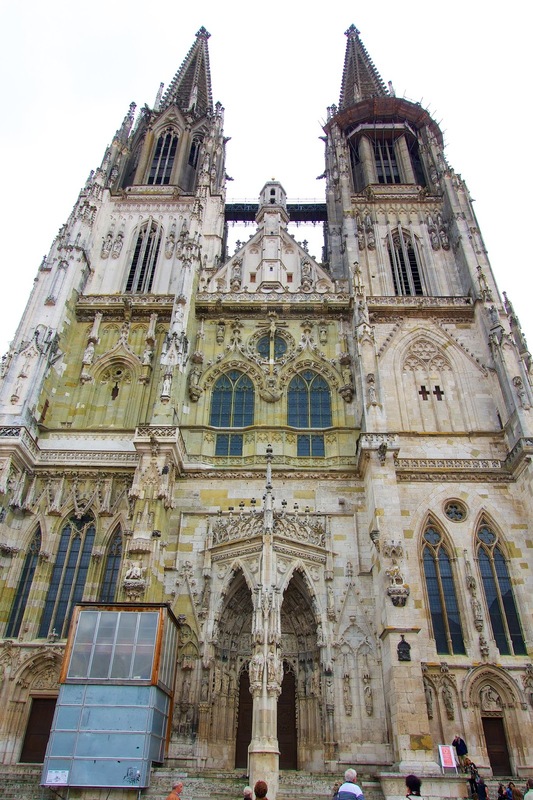 The Dom St. Peter (Regensburg Cathedral) was built around 700. 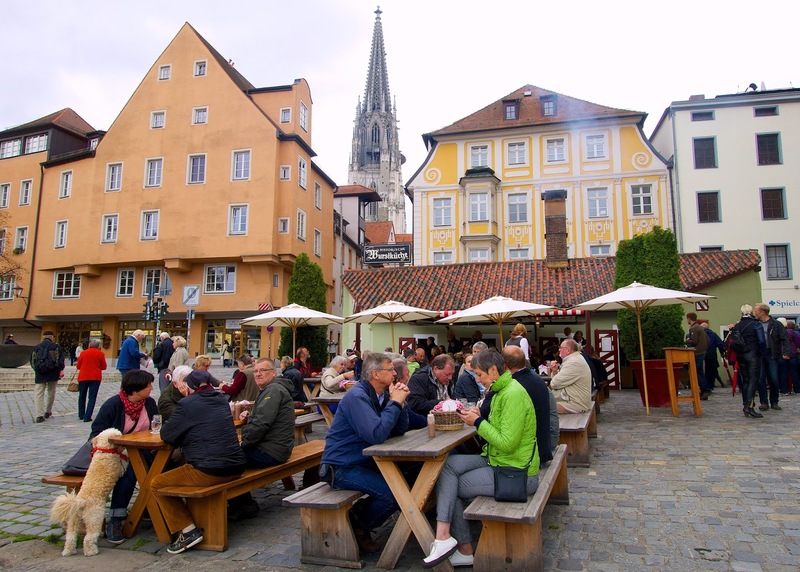 We had lunch t the 500 year-old historical "Wurstkuchl". It is located next to the Old Stone Bridge on the Danube. Little has changed over the years. 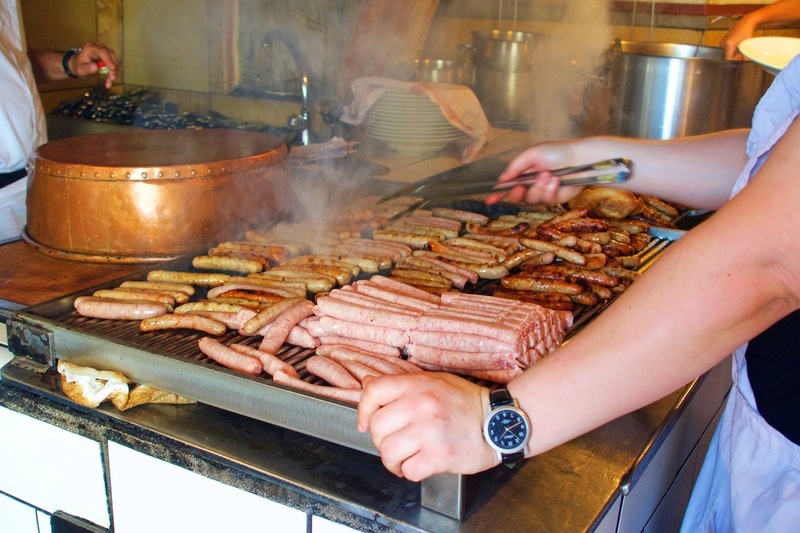 They still have their charcoal grill, homemade sausages made purely of ham of pork, sauerkraut fermented in their own cellar and of course the Wurstkuchl mustard following the original historical recipe of Elsa Schricker. We got a takeaway sausage roll. I loved it! I could have eaten about 10 of these. The mustard was amazing! I need to find it in The States ASAP! For dessert we had a Streuseltaler. 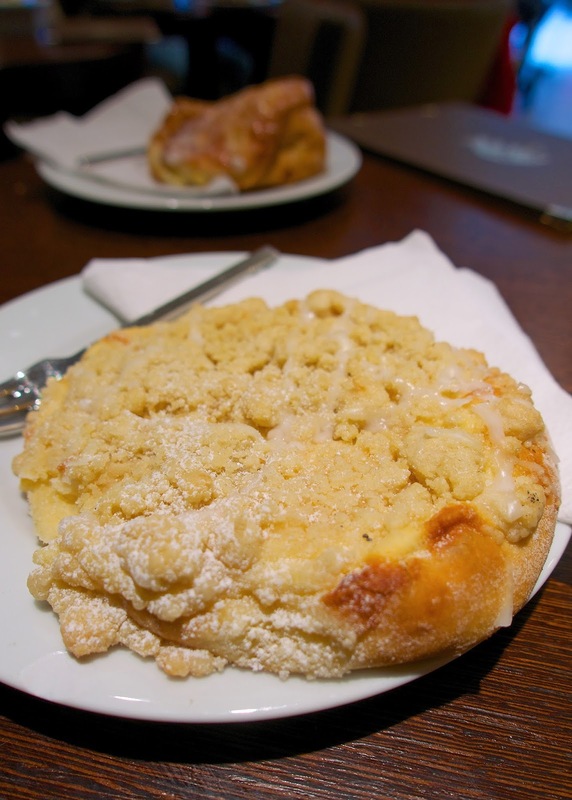 It is a pasty where streusel crumbs are generously piled on a yeasted cake and then drizzled with sugar glaze. THE BEST! We loved this. I've found several recipes online for this treat. Can't wait to try one. 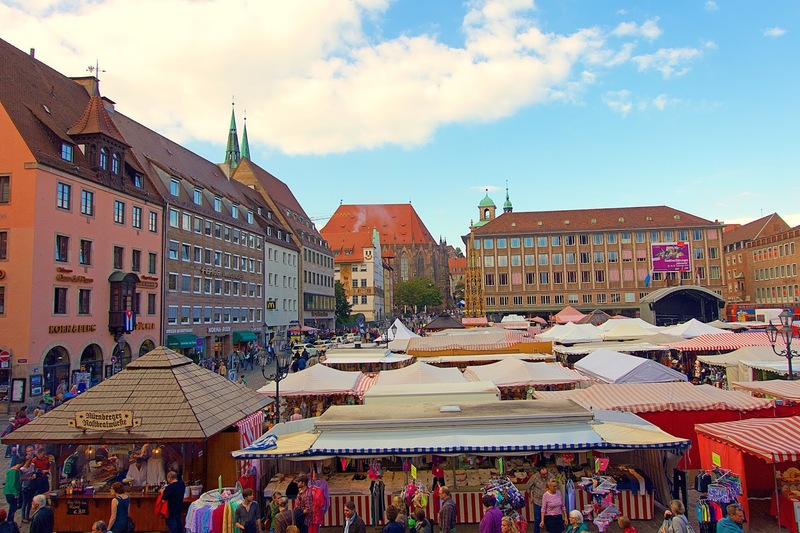 Our last full day on the cruise was spent in Nuremberg. The Congress Hall was inspired by the Colosseum in Rome. 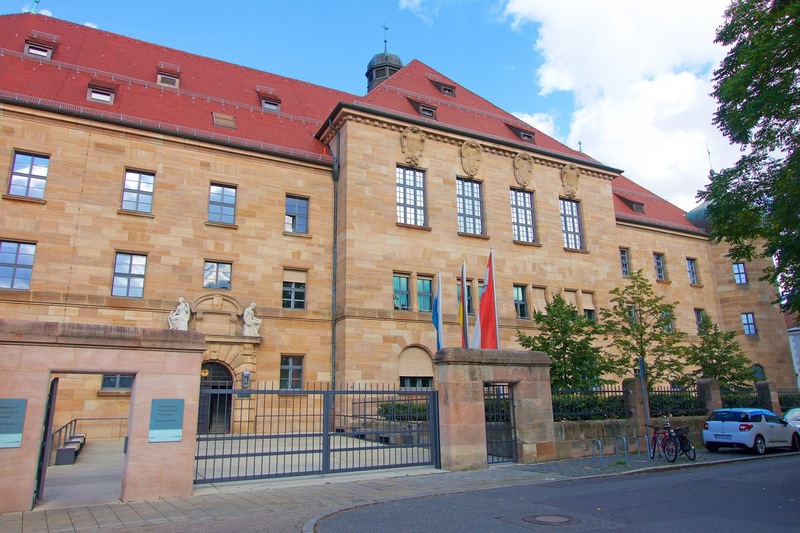 The foundation was laid in 1935. 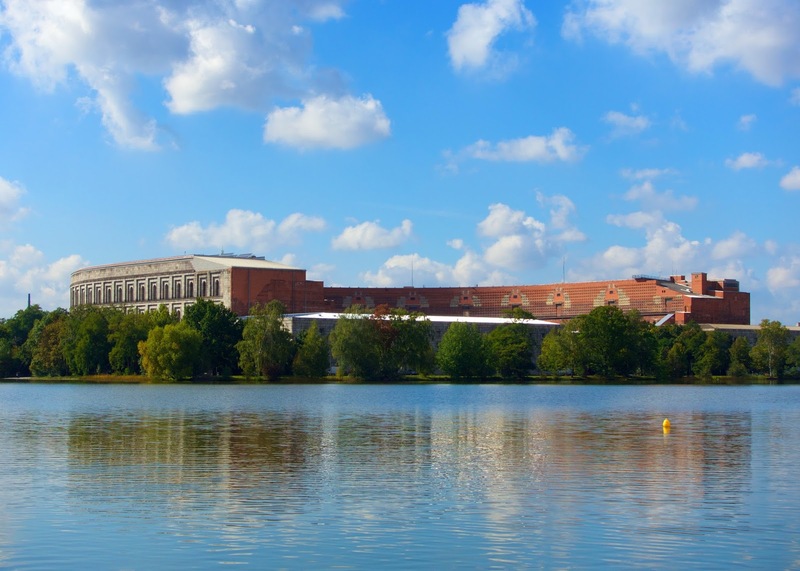 It was planned as the congress center for the Nazi party. They intended it to hold 50,000 people and have a roof. Room 600 is still in use today. We only got to see the outside on our tour. I would have loved to see the inside. 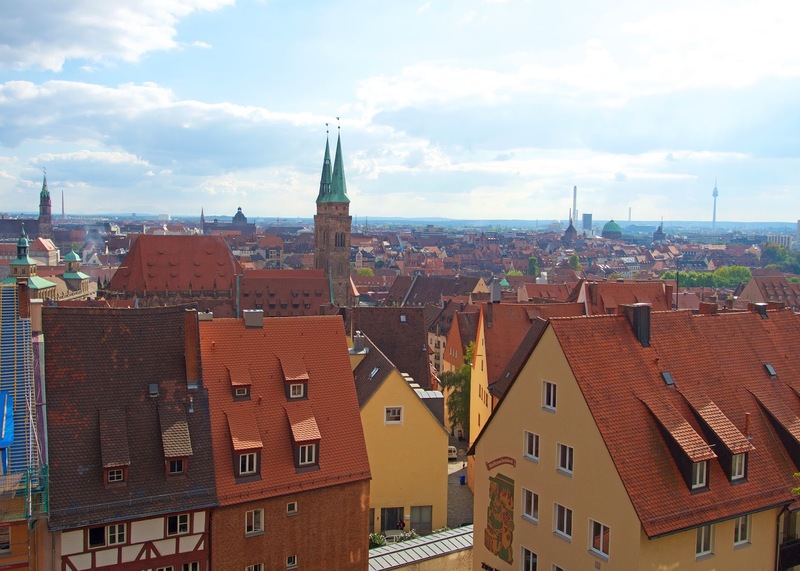 View of Nuremberg from the Nuremberg Castle. 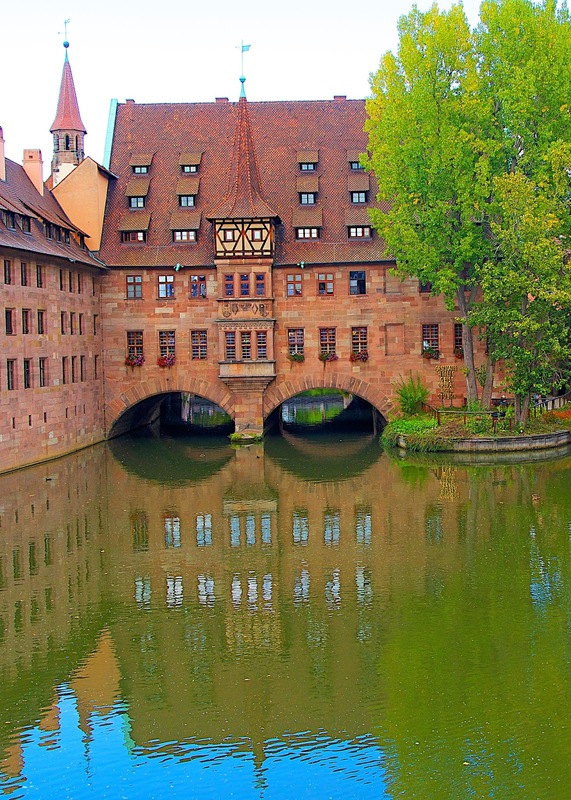 It was built between 1332 and 1339. It was the largest hospital in the city. 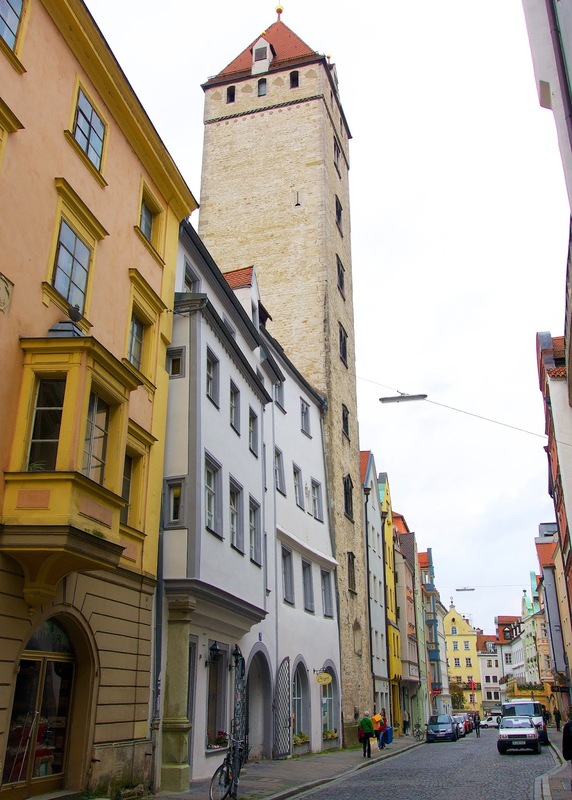 Frauenkirche ("Church of Our Lady") was built between 1332 and 1362. 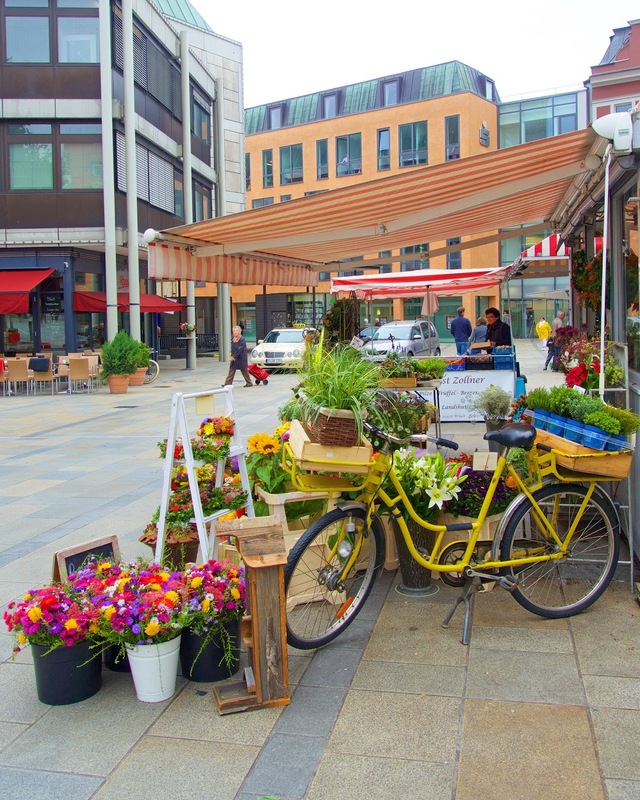 They have markets on the weekends. They are famous for their Christmas Market. I would LOVE to come back for that! 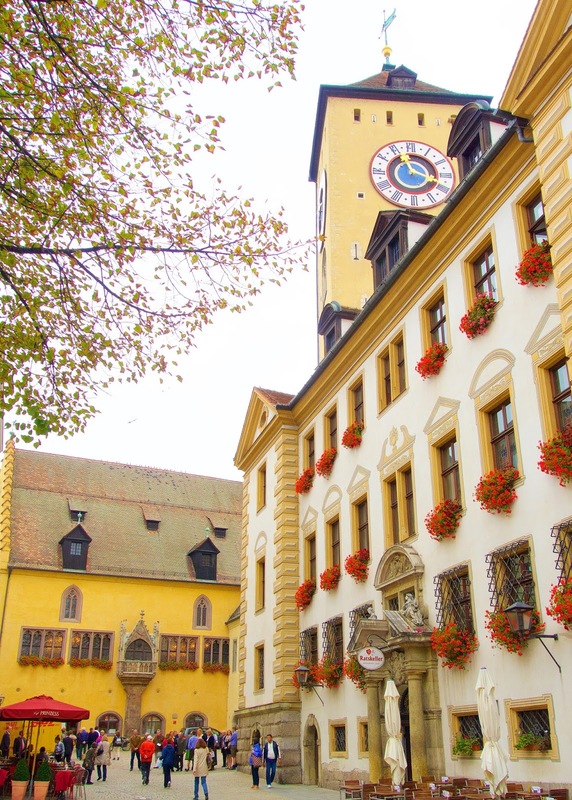 The Beautiful Fountain (Schöner Brunnen) sits in the central market square. 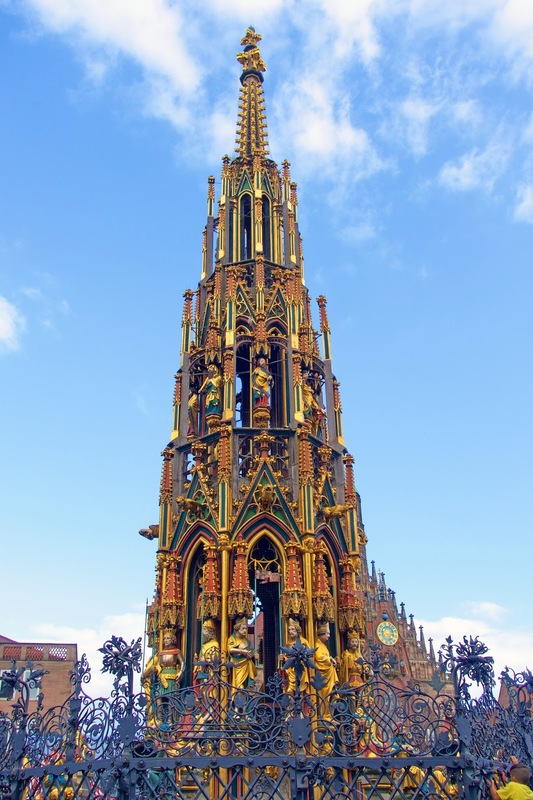 This fountain is a replica of the original that was erected at this site in the 1380s; the original can be found in the Germanisches Nationalmuseum. 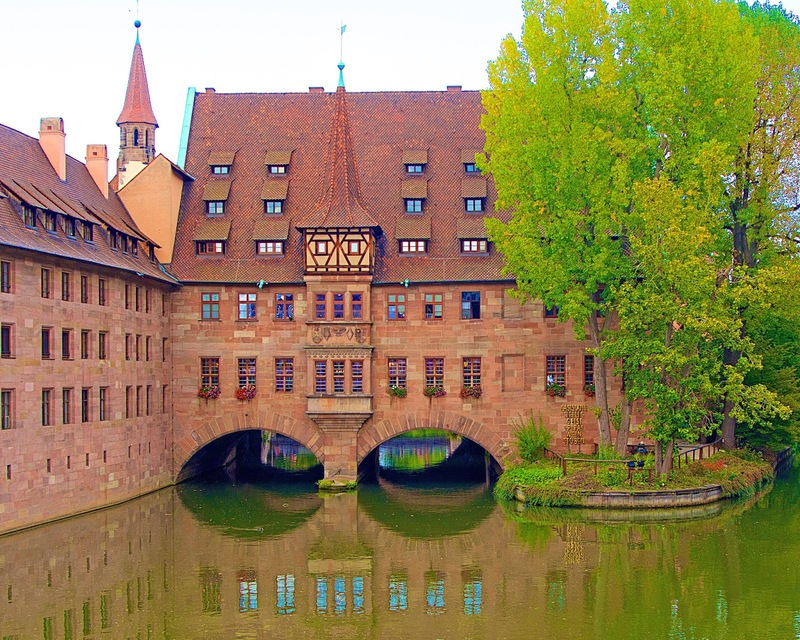 Nuremberg was more beautiful than I expected. Overall, I really enjoyed the Gate1 Travel River Cruise. 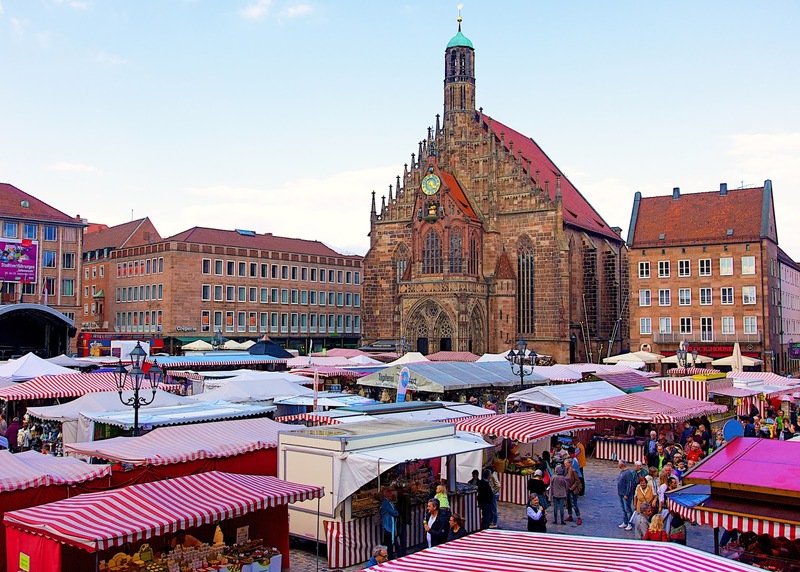 We took the 9 day Danube River Cruise from Budapest to Nuremberg. 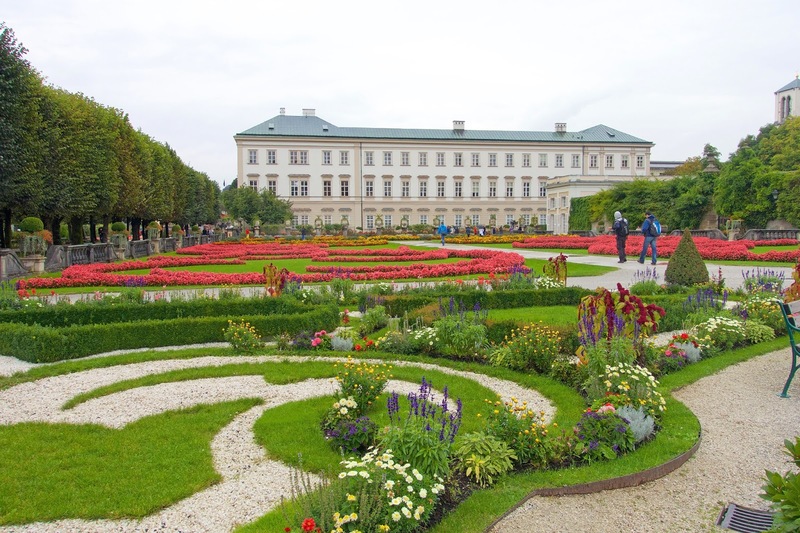 We took the optional tours to Schonbrunn Palace Tour and Salzburg. All the meals were provided on the boat. Breakfast and lunch were a buffet. Dinner was a 4 course meal. They also have coffee and snacks throughout the day. There was nightly entertainment in the lounge. My favorite was the Dance Bingo! The cruise was a great way to see a lot of places in a short amount of time. I found several places that I would love to come back and visit! Several people on the boat mentioned that they had taken land tours with Gate1 Travel. They said the tours were 5-star all the way! They stayed in the nicest hotels and ate at great restaurants. They said the tours took you to all the important landmarks. I'd love to check one out one day! Amanda and I had a blast on the cruise! Our flight home was out of Munich. 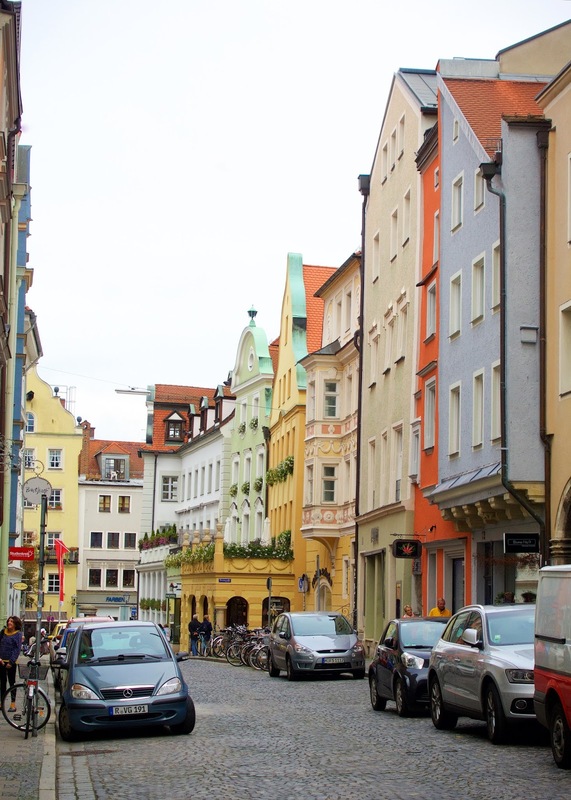 We decided to spend an extra few days on our own and explore Munich and Oktoberfest! Stay tuned for Munich and a little giveaway! 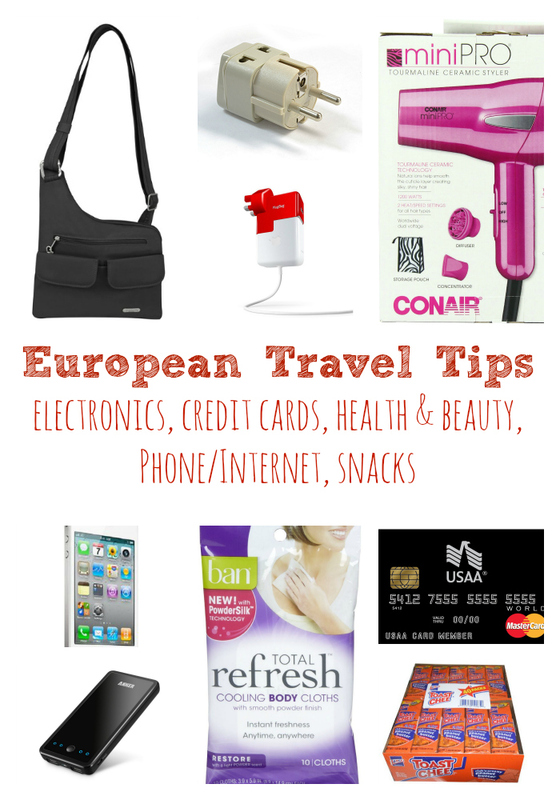 Make sure to check out my post on "What to take to Europe". I linked up everything I took and gave tons of tips! The river cruises always peaked my attention. I am always tempted to book but as a 27 year old I am not sure I would fit the age group. 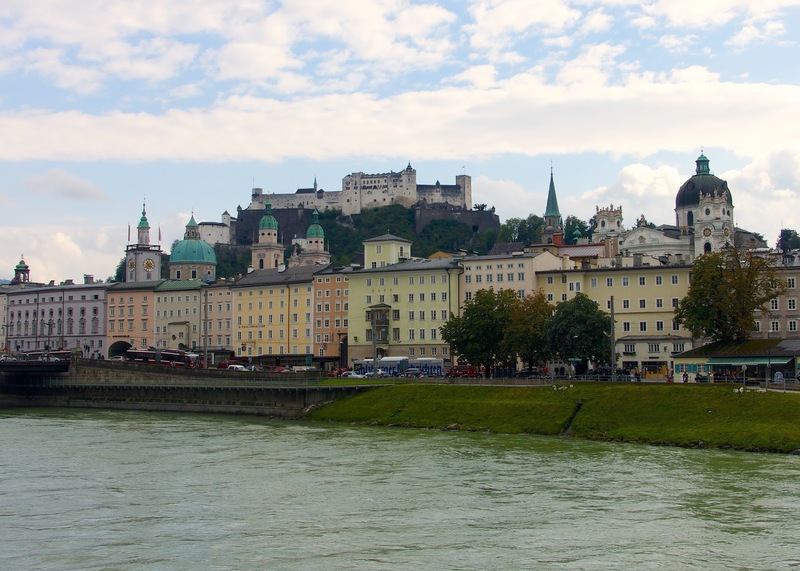 But I am planning a trip through Salzburg among a few other locations and it certainly looks like it is well worth the stop! It is definitely an older crowd on the boat, but it was still lots of fun. You spend most of your time on land during the day. You are really only on the boat for dinner and to sleep. Seriously, stunning photos! Love all the building shots - that's my one favorite thing about Europe, their buildings are always so unique and have so much character and history. You guys sure did a lot - I hope to do this some day! 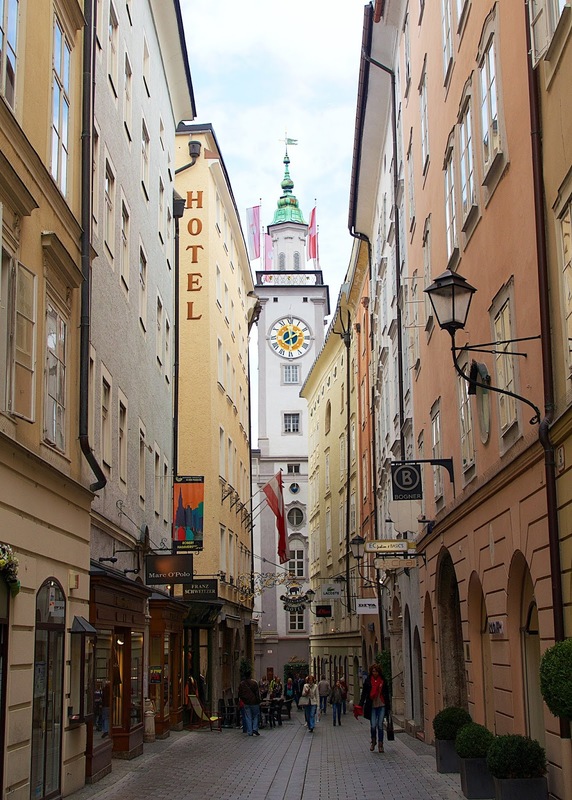 Ben and I really, really want to go visit Austria someday - and this is making us want to go even more!! Hands down gorgeous! And this Czech girl is swooning over those schnitzel! 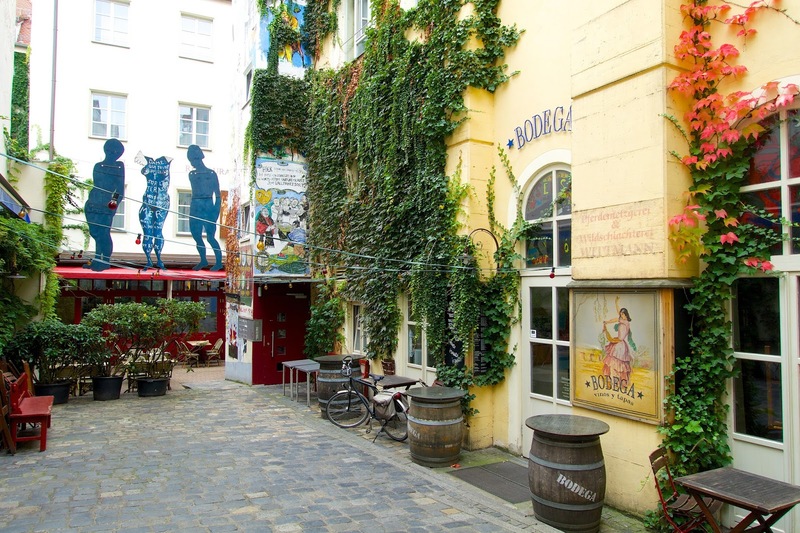 I went to Cologne for the Christmas markets last year, but this just makes me want to do this cruise! 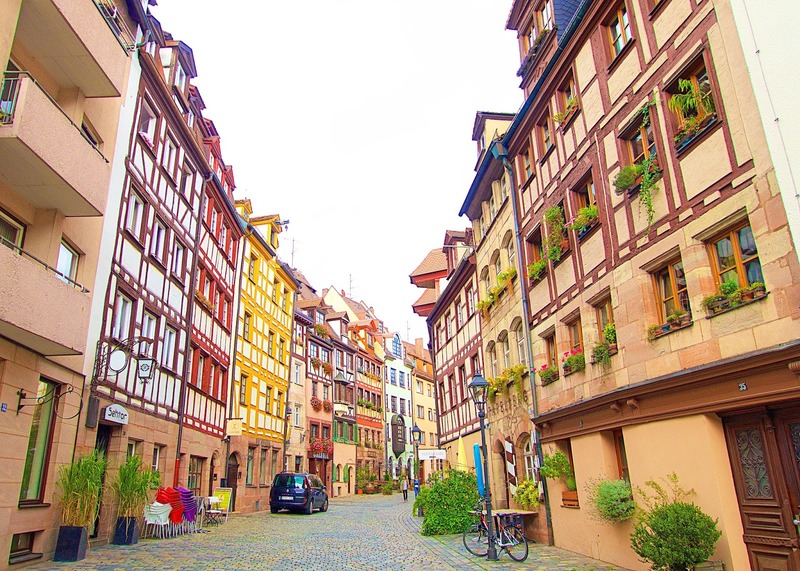 I love all the colors of the buildings in the towns and villages! Beautiful photos and I'm with you, I'd love to make those lovely soufflé cake pastries at home! Such a wonderful walk down memory lane for me. Beautiful pictures! Miss all those places and the food. LOVE the Mozartkugeln :) Such a great article, thank you! I am seriously blown awayby how amazing this whole trip looked...your photos totally transported me! Those window boxes are gorgeous, I'm loving that up and coming lock bridge, and oh my garsh, don't even get me started on that swoon-worthy Streuseltaler. I haven't eaten a lot of Germany and Austrian food, you are certainly making me want to change that! 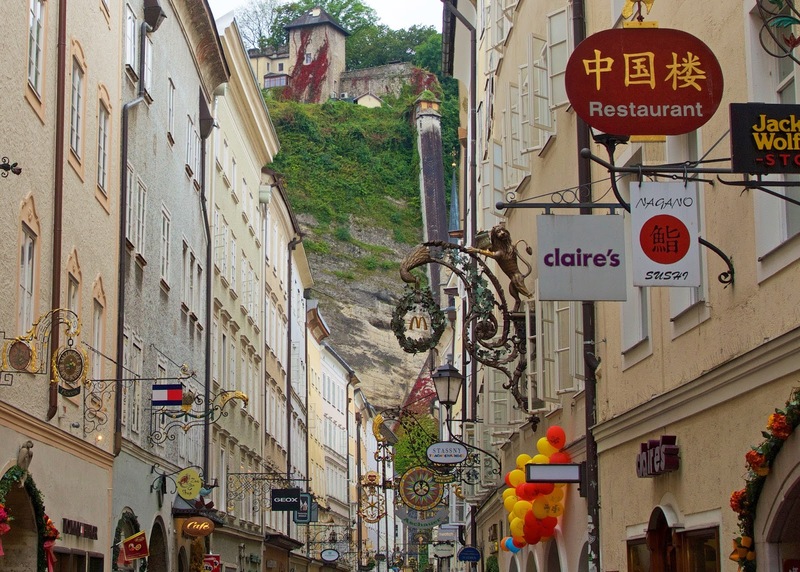 The Salzburger Nockerl looks out of this world! Seriously??? What an AMAZING trip.I have never been overseas...The history is so rich and OLD!!!!!!!! Oh, Salzburg! I was there on a tour with my church choir in 2009. 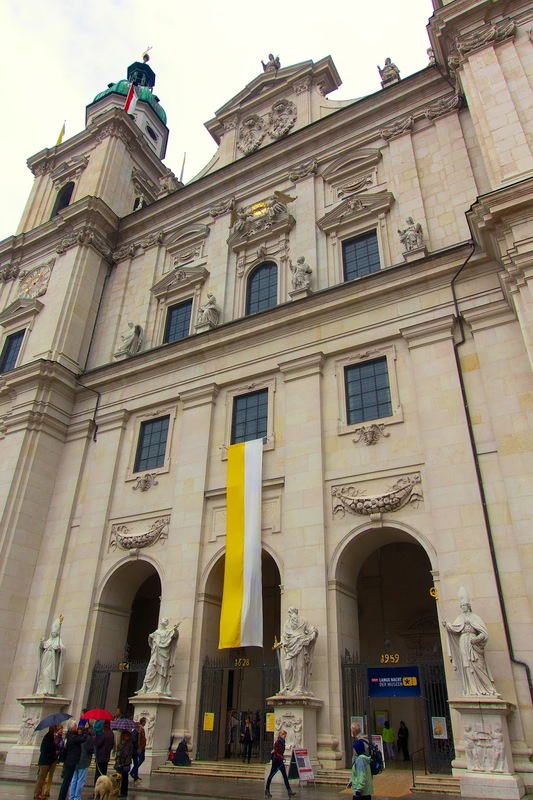 We also went to Prague and Vienna and were only in Salzburg for part of a day, but it was my favorite part! So charming and beautiful. 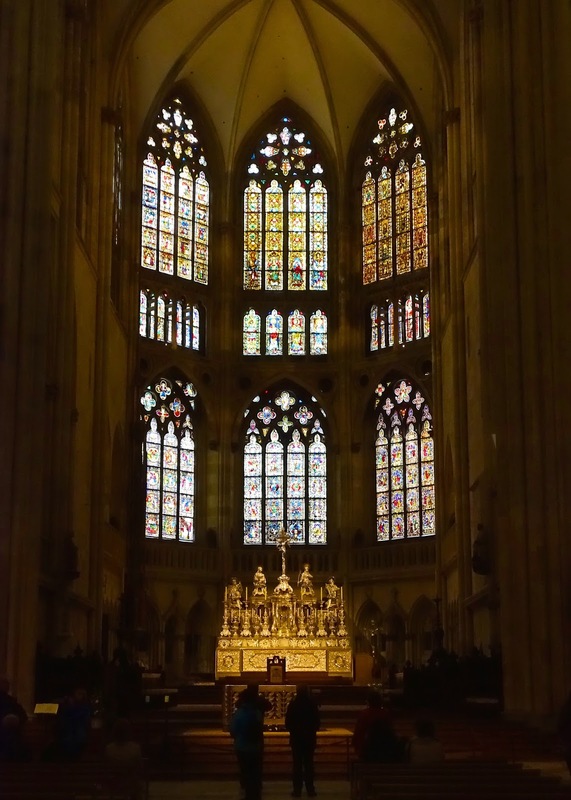 And we got to sing Mass in that cathedral! 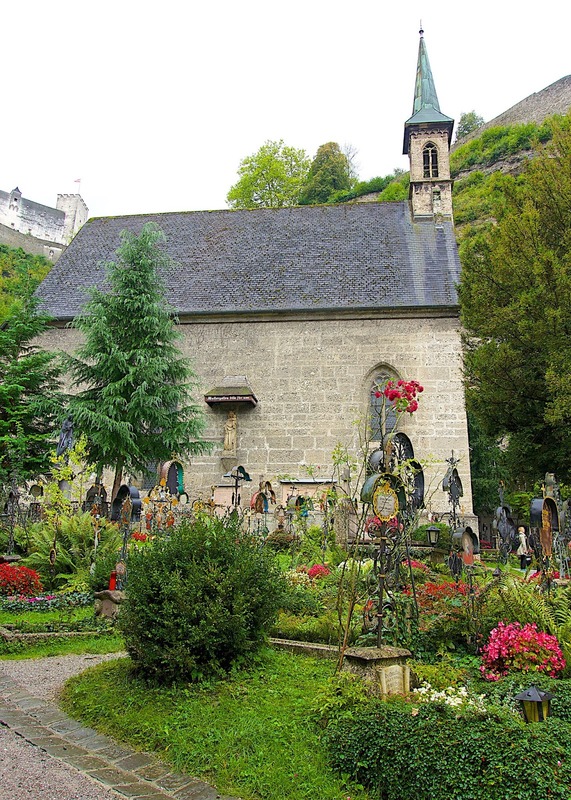 I loved seeing all the places that were in The Sound of Music - it's my favorite movie! I really wanted to go on the SOM tour - it goes out into the countryside where the house is and plays the music - but we weren't there long enough. The funny thing is that most people in Salzburg haven't even seen the movie and don't care. 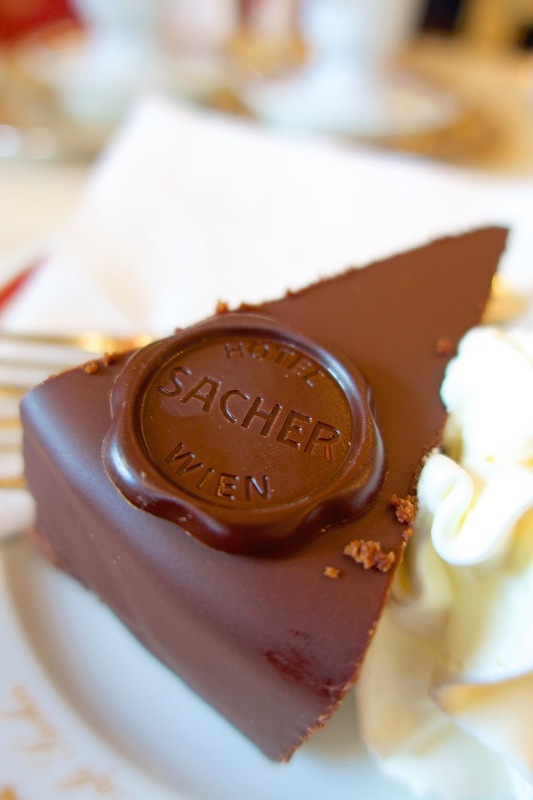 We also visited the Cafe Sacher in Vienna and had the famous torte. 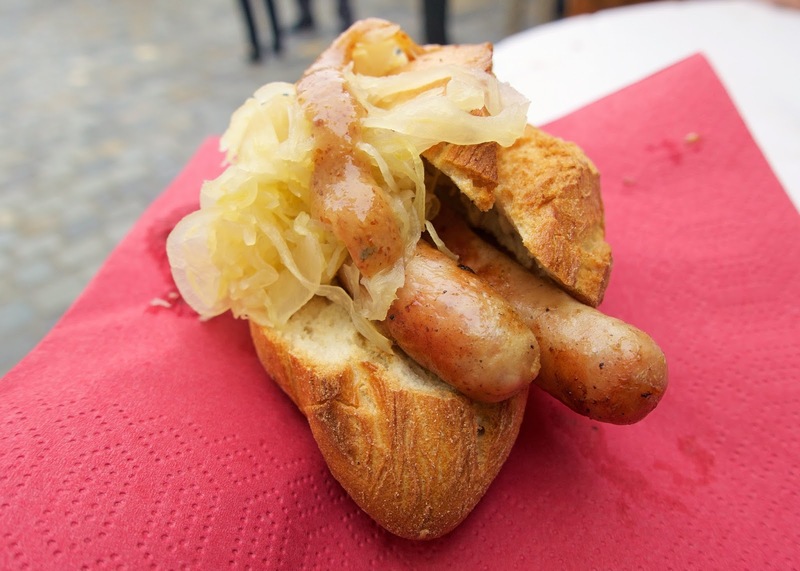 The food in Austria was delicious - WAY better than Prague! 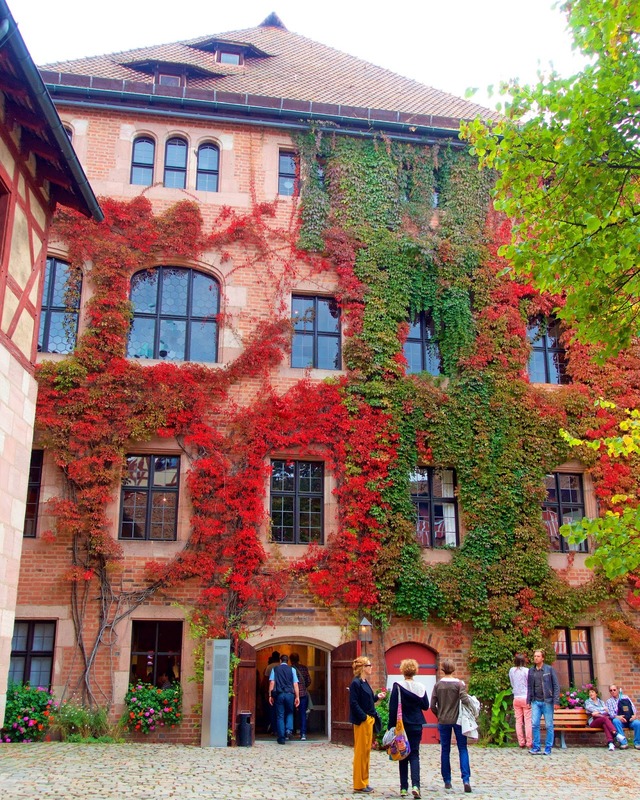 Our next tour is all over Germany in 2016 and seeing pictures of all your travels is getting me excited about it!